HSSE is a way of life. Make it personal: join our Goal Zero journey. Our Health Safety Security Environment (HSSE) extends far beyond our premises. We’ve encouraged employees to live with awareness, caution and care even when they’re not at work, and to urge their families to do the same. The result? Safer communities for all. Thanks to the support and input of our executive management team, and their creation of an annual safety week, HSSE is recognised as a priority throughout the organisation. Our HSSE culture is brought to life through the creation of dedicated KPIs for every employee, from executive management to frontline staff. These are derived from our balanced scorecard and strategic business objectives. Added to this, we issue a monthly data-driven HSSE Performance report, covering our top five HSSE risks. This information is shared on our intranet and discussed in monthly departmental meetings, while the HSSE team hosts weekly talks to share their learnings. HSSE is closely linked to your asset management goals; after all, an ill-functioning physical asset can pose a real danger to the wellbeing and safety of your staff. HSSE is therefore one of the building blocks of our Asset Management road map. Implementing knowledge and skills transfer programmes to make small businesses more aware of the HSSE imperative, and to act accordingly. We’ve developed the HSSE Logger app and website to entrench our HSSE culture. 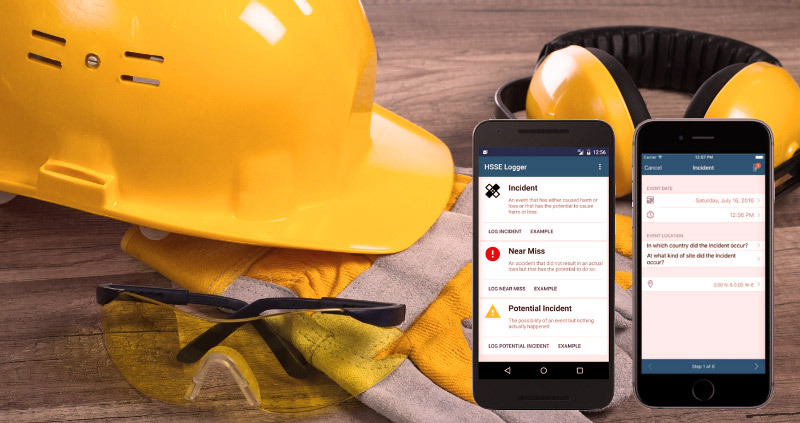 It’s an easily accessible tool that allows you to report incidents, near misses and potential incidents within seconds, and it’s available to all clients.